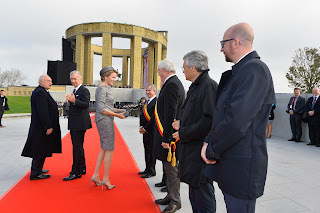 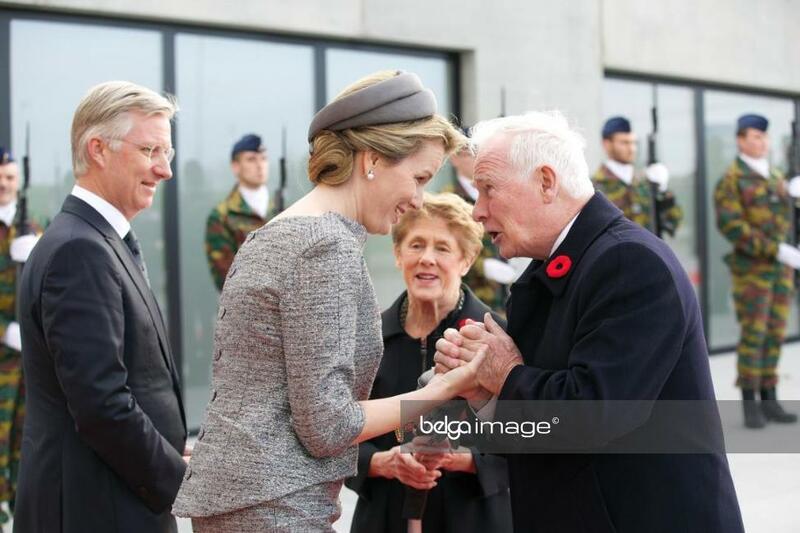 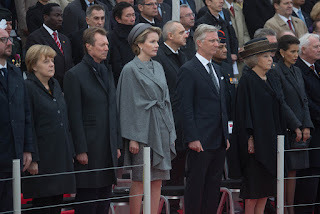 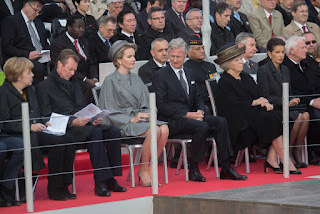 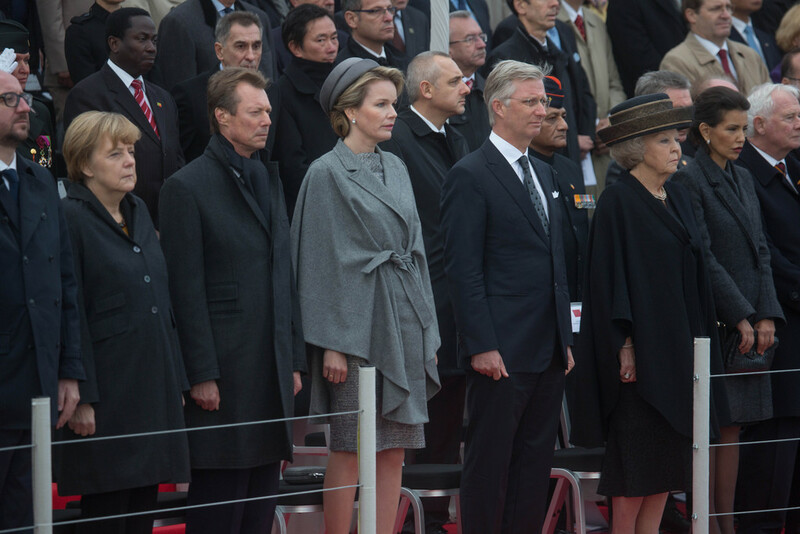 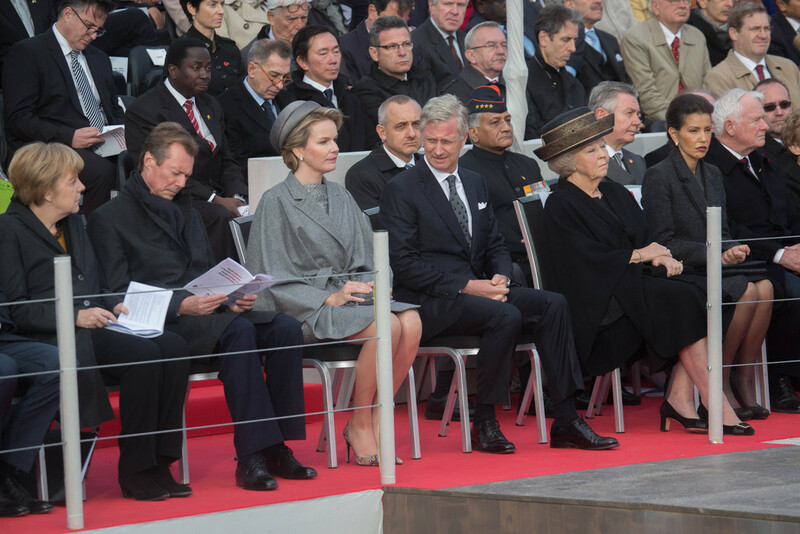 King Philippe & queen Mathilde attended a ceremony to commemorate the centenary of the 'Battle of Ypres' during the First World War, at the monument for King Albert I in Nieuwpoort. 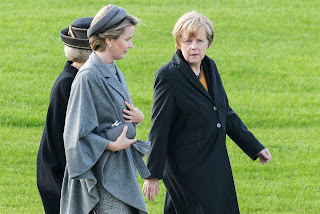 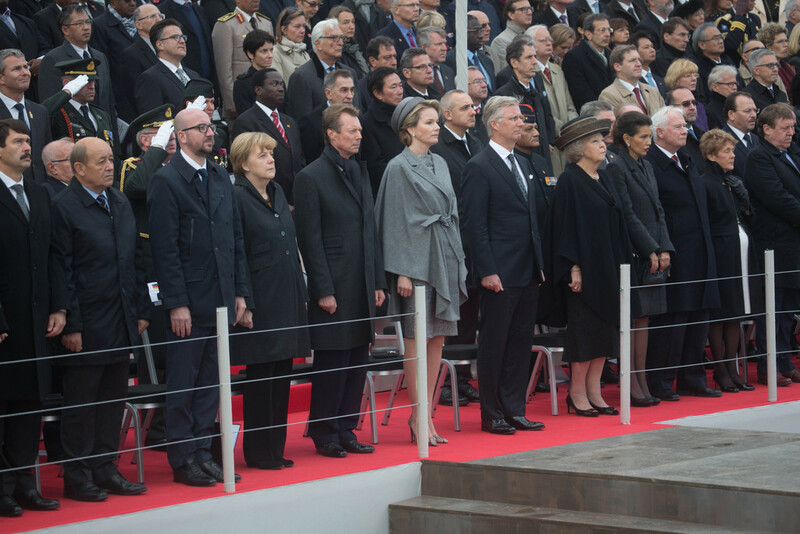 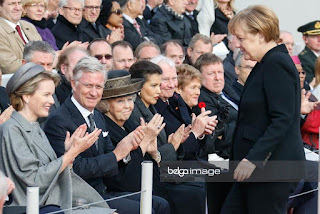 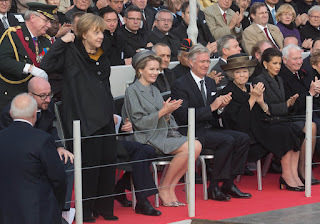 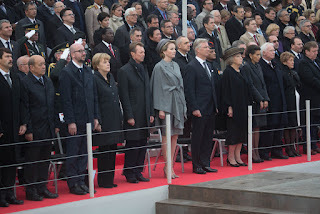 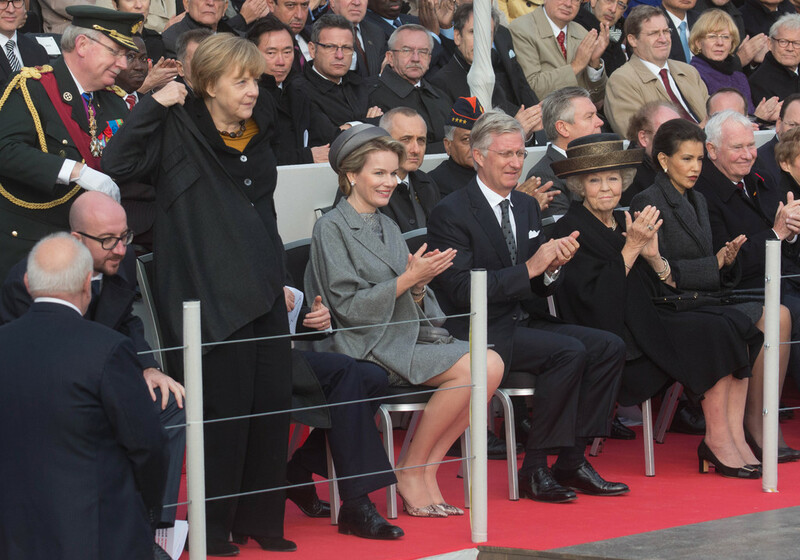 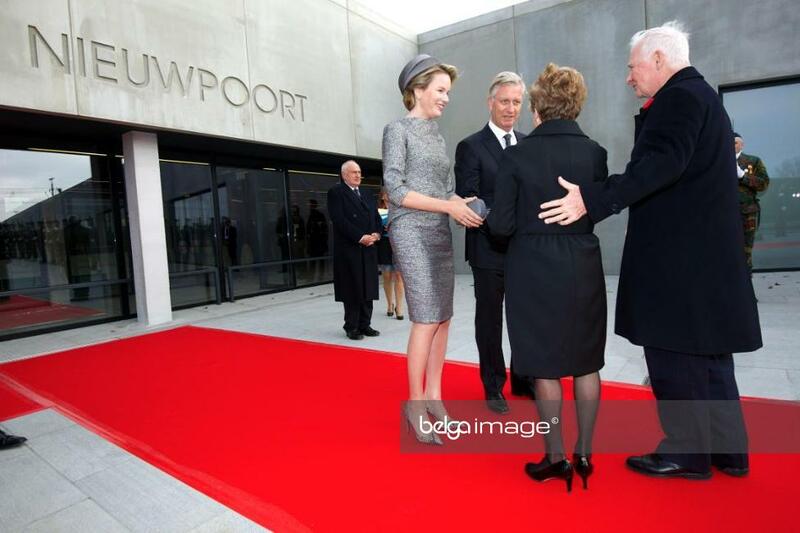 Among the high level guests were German chancellor Angela Merkel and princess Beatrix of the Netherlands. With Canadean governor-general David Johnston and his wife, Sharon Johnston. 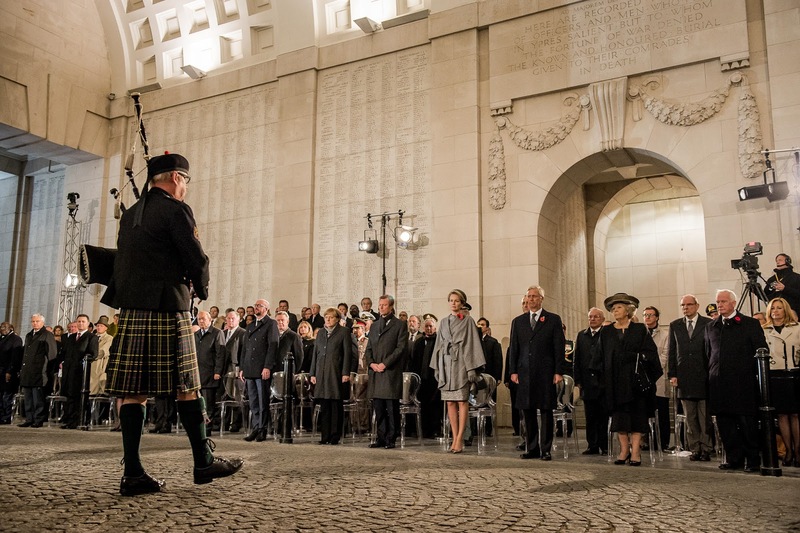 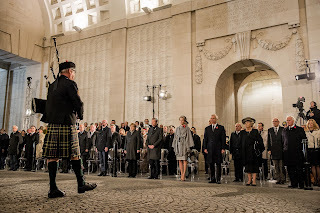 The guests attended the Last Post at the Menin Gate in Ypres.